Historically, Customer Relationship Management has been more about managing sales people than building meaningful relationships with customers. Today, technology is changing to help companies sell more by improving the experience offered to customers. Mobility and data are also important trends to understand when it comes to CRM. (00:04) CRM, Customer Relationship Management it is an old topic and a new topic at the same time because there’s a lot happening. And today on episode number 124 of CXOTalk, I am speaking with Larry Augustin, who is the CEO of SugarCRM. I am Michael Krigsman and my usual co-host, Vala Afshar is off out there in the ether, Vala if you’re listening to this send us a sign. But in the meantime Larry, how are you? (00:46) I am doing well Michael thank you. Thank you for having me here. (00:50) Well it’s very exciting. You know, I’ve been following SugarCRM for a long time and you’ve had a pretty interesting career in your life. So let’s begin by please tell us about your professional background and some of the things that you’ve done. (01:08) Great, so I’ve been in technology for a long time. Over 20 years in business roles. My background is actually a technologist. I’ve got a PhD in electrical engineering from Stanford. Think primarily computer science. (01:23) I started my career literally as assistant administrator when I was in college and was one of the ways I worked jobs in college and went on from that to start a company called VA Linux right out of Stanford, took that company public in 1999 at the height of the bubble, along the way had the chance to do some exciting things with that business. (01:48) We created an internet site called SourceForge.net some of your viewers may know. At the time it was the largest site devoted to free software and software downloads on the internet, a huge change in that industry. (02:06) Also ran a whole set of websites as part of that Linux.com slash dot. Some of them you may know from the technology and the open source worlds. Was part of coining the term open source. Spent a lot of time building that company, as I said took it public. (02:25) Post that was lucky enough to spend a lot of time with a whole set of great entrepreneurs. People like Mark Fleury at JBoss, worked with ZenSource, Spring, a company Hyperic, also great companies that required or continued to build great businesses. (02:46) One of the company’s I got involved with during that period of my career was SugarCRM. I came in shortly after the first investors came into the company and joined as the first independent on the board. 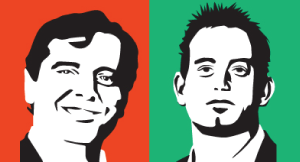 This was late 2005 and then in 2009 we we’re looking at taking the next steps with the company and I really really liked the market and what I learned about CRM, and 2009 stepped in as CEO. (03:18) So give us a brief sense of SugarCRM. Tell us about Sugar. (03:26) Great, so as I said the company has been around since 2004. The founding team came out of Epiphany if you remember that company as CRM and (Mark in ? 03:35). You know at Sugar we really saw here the opportunity to create what I call the next generation CRM. As we look out there I think the history of CRM has really moved to a point where it has to help the salesperson do their job a lot more. It has to really help them be more effective, and we don’t see that as the history of CRM. It hasn’t been the legacy. It was time to make a change for that and we really saw an opportunity for innovation and space. (04:08) And also if you look at the companies in the space today, most of them aren’t focused just on CRM. They tend to be large companies which CRM is a piece and we really felt there was an opportunity to create a pure play focus was really all about customer relationship management and innovating there. And we’ve had great success with it. (04:28)Almost 600 people in the company today. Our largest customer is IBM. They use us everywhere with CRM. Around 7000 customers total, so you know we’ve been thrilled with the success. (04:41) So Larry you kind of described a little bit about the definition of CRM, but what is CRM? (04:52) That’s a good question Michael. That’s one of those topics that is always an interesting one to go into in the CRM world, because you take it the sort of meaning of the acronym, Customer Relationship Management and there’s a little bit of a misnomer in that and customers don’t really want to be managed, right. yet we talk about customer relationship management. (05:22) CRM as we really see it is about creating a great experience for the customer. It’s how can you put in place business process tools, technology, attitude, all of those things to help a business deliver a great experience. (05:39) You know, people ask me all the time, what do you do as a business, we don’t really know the anonym CRM. And the way I describe it is every business has customers, and they kind of nod, yes that’s good they have customers okay. So imagine in that business, that person an employee is talking to a customer prospect. How do you make sure that in that conversation, that employee is delivering value to that customer or prospect that knows who they are that isn’t enforcing them to repeat themselves and tell their story over and over as they talk to different employees. (06:15) How do you make sure that that experience that they’re delivering is consistent across your whole business, every employee regardless of who they are and where they are, know when they talk to a customer they know what to say to them, they know who they are,. They really create for them the sense that the business understands them and cares about them. and CRM is about helping your employees do that. (06:39) Part of it is technology, but part of it is also just the business process, the rules, all the things you want to put in place to help those employees do it. (06:50) Okay, Larry so historically CRM has really focused it seems on being a management tool and now you’re linking it to customer experience and you’re broadening the scope of CRM to go beyond technology into processes and culture and interactions with customers. So draw that line more tightly for us. (07:19) Yeah, you know I look at the history of CRM, I sort of think of CRM having come out of three areas. You know one is if you go back to the 60’s and 70’s, the economy was very manufacturing and operations driven and that gave rise to Manufacturing Resource Planning, MRP and ultimately ERP systems. And those systems started extending towards the customer, and for the purpose primarily for inventory control and manufacturing plan. (07:54) So there job was forecasting, right. it was tell me forecast so I can plan the manufacture right and that was one sort of core, I guess I would call the three elements that began creating CRM. (08:11) The second was the database marketing revolution that happened in the mid-80’s, and this is where we begin learning to take databases of target prospects and understand their demographics and market to them directly. (08:29) So it became much more about relationship marketing and marketing to people and demographics as opposed to just broad branding right. So it was this aspect that I’ve got to create a list, a targeted list, database, know who people are and really understand who they are and go after them. So that’s second concept. (09:23) Yes, you pop it all onto a database and now you can look up and see what you’ve done. (09:27) That’s right. That’s right, and you’ve got kind of those three things to come together. And so the systems that really sort of appeared out of the 90’s did those as well. Forecasting, what is my activity, so how many sales calls has someone gone on. How many meetings have they done, so all that activity management and then just the database. You know it was interesting when I first took this job I was talking to a prospect and he asked me the question, so Larry, are you the CRM or are you the application? (09:58) The question completely threw me. I didn’t understand the question is I dug deeper. I discovered that to him, CRM was the database, the customer list, and infact they had bout a CRM solution and they were just using it for the database, the customer the name right, the customer record. And they bought a completely separate piece that was an add on app that became the front end for that. (10:22) And it’s that whole you know, disconnecting the legacy systems today that I think we’re seeing a change from the industry and you see this in a broad way across the industry in terms of people creating solutions around sales effectiveness, sales enablement, and they are much more about talking to the customer as opposed to recording what happened with the customer or recording activity. And that I think is a big shift. Sometimes we call this a shift from a system of record to a systems of engagement. (10:59) And that’s where you can begin to affect the customer experience as you look and say, how can I help the customer engagement, not just record data about the customer. And that shift, where you begin to say I’ve got all this data, okay now how can I use it to enhance that experience and make it part of the activity. Because that’s where you really touch the customers during that activity, and the system has to be useful at that point in order to affect the experience. (11:27) So how can you use this type of system to help improve the engagement that you have with a customer and presumably then that’s going to improve the relationship, the actual relationship with the customer and ultimately therefore drive customer satisfaction and drive sales. (11:52) Yeah, so there are a lot of ways. One is you can take this information, and provide information and intelligence that’s valuable to the customer, at the point in time when you’re talking to them. (12:06) So on the sales side, it can be something as simple as cross sale up sale capability. So we see customers for example in insurance, I’ve got a customer who’s got life insurance, but that person should also have help auto, home. What the sales agent or the person that’s talking to the customer, sees the right policies, sees the right products that are fit. So you’re not trying to fit the wrong thing to them. (12:39) You understand that this person is married. They have teenage children, okay, what have you done about the teenagers auto insurance, right. So it’s helping the agent who is talking to the customer with intelligence about the right things, because we all know what it’s like to get the sort of wrong product, is just a waste of our time. We just know that. On the other hand, something that’s useful makes a difference. (13:09) Now it can be that’s a sales example, but it can also be customer support, it can be in follow-up, really understanding what matters to the person and a system presenting and offering the alternatives to the person who’s engaged with that customer. (13:26) So that’s one set of offering that intelligence, that’s one thing. Another is really enabling the handoff between functions across the company. It’s interesting, so companies have organized sales, marketing, operations, support etc. that’s how we all organize our businesses by these functional areas. But think Michael, when was the last time you bought something and you thought gee, today I’m going to be a lead, and when I’m done being a lead I’ll go and talk to the salesperson and I’ll talk to the sales team. You know, we don’t as buyers we don’t view companies in silos like that. And our buying experience and the way we buy is very different than the organizational boundaries. As a buyer we don’t really care about organizational boundaries, right. We want a seamless experience and use a company that happens to say, well this part is handled by a salesperson or this part is marketing and this part is service and support. (14:24) That’s your problem as a company, that’s not my problem as a buyer right. Well a system that makes the transitions inside a company look very seamless, so that the right information passes from person to person in a seamless consistent way. And also helps people inside the company understand where the buyer is in their process, so that they can appropriately align the conversation that can have a huge impact in creating a great and consistent customer experience. (15:01) So there’s that mismatch between organisation and the way people buy that a system can help smooth out. Those are couple of examples of how you can really operationalize and really create that experience. (15:11) So Larry, SugarCRM is a technology company, and yet when you start to bring in these elements of process and then thinking about from the customers point of view rather than through the silos of the organization, these are not technology issues. These are business issues, so how does that then play out in all of this. (15:43) Yeah you’re right. These are business issues right, and in our business in CRM it’s about creating a great customer experience and it’s not about just the technology. You really have to think of this as a business problem, and it’s an interesting question because I’ve seen many startups in Silicon Valley and been lucky to been part of many successful ones, and even at SugarCRM here I’ve seen a bit of this transition. (16:11) Those Silicon Valley startups start as technology companies. We tend to be technologists here and that’s where we start. But you have to make the transition to understand that you aren’t just buying the technology. They’re trying to solve a business problem, right and you have to deliver that complete business problem solution and we’ve put a big emphasis on that here in terms of moving that direction. And I really think that the market today around CRM is looking for someone who’s a CRM and business process expert, and not just a technology delivery vehicle. Right, it’s not just about products, but all of those pieces. (16:51) One of the things that we did here specifically by the way because of that process is we went and acquired some advanced workflow technology that is now core to our product, and it’s really about creating processes across the business and managing those. Because we really saw this concept that it was not just sort of isolated pieces, but you had to create process. And process becomes a key important part of any CRM initiative. (17:23) So when you think about CRM initiatives as you described, adoption is always an issue. So if a company is undertaking a CRM initiative inside their organization, what are the things that you can do to encourage adoption? (17:45) Yeah you know historically, adoption has been a huge challengefor CRM. If you look at some of those statistics they’re not good in general across the industry with adoption, and I think there are a number of reasons for that. (17:58) One is first of all you have to recognize that people will use technology to actually help them do their job on a day-to-day basis. So kind of the first rule with adoption is you have to make sure that you’re delivering value to that individual user. (18:10) And if you go back to a little bit of the legacy of CRM, where it’s about pipeline management, and forecasting and activity tracking and being a database. Well, those things really don’t help an individual, say in customer support or a salesperson at the point where they are talking with the customer right. It’s not, you know I’m going in as a salesperson to talk to a customer. My first thought is, gee I wonder what my pipeline forecast is today. You know it’s I’m going to talk to this person and I need to know who they are, help we talk to them, right. (18:42) So delivering value to the end-user is very very important, and I think people who have been through CRM implementations, and seen the adoption challenges they get that. But it’s very hard sometimes because the business will often come down and say well gee, I need a better forecast and your answer has to be yes, I’m going to get you a better forecast. I’m going to get you a better forecast because I want to tell the salesperson a lot more about the person they’re about to meet. And as a result they’ll be in the system, and as a result the forecast will be better than where you have the case where you ask the salesperson to show up at the end of the week and update some data into a system. (19:21) Right, so first of all you’ve got to deliver value to the individual. Very very important, a key piece of it. Next, the whole conversation we just had about it’s not just technology, it’s about process, really really key. (19:46) If you haven’t figured out what your processes are, trying to put in the technology will just potentially freeze poor process into the company and make impact harder to change. And you’ll have poorer adoption because now you’ve got a system, whose job it is to force people to do a poor process and that does not make anyone happy, right. (20:12) So change management is an important part of this as well, getting the buy-in of users, and understanding how they are impacted, their individual lives are impacted by the change in systems. (20:27) There is a lot of key things that you have to build their. Again, deliver value to the end-user, understand processes, and then work through a way of helping the users to see how it’s going to change their lives and make their life better, and work through a change management process. So those are the kind of three things I would point to that are going to help people through CRM adoption. (20:55) So what about the notion of a company developing the mindset of being service oriented to its customers and really thinking about how delivering the value to the customers, how does that all play into this broader notion of CRM as relationship. (21:22) Yeah, no really really good question because ultimately if your goal here is to create a great experience, you’ve got to get people thinking about what it’s like for a buyer to come in and buy as opposed to what’s easy for you to do as a company selling outward. And there’s something I’d like for that called customer journey mapping. And the idea behind a customer journey map is that you create a roadmap of a lifecycle of what it’s like for someone to buy from your business. (21:57) And it’s fascinating when you sit down with people inside a company and say, what’s it like to buy from us, and you ask them to tell a story from the other side. It’s interesting, you don’t necessarily have to go out and interview your customers to get the answer. Quite frequently your employees know where you’re making life more difficult, but they just don’t have a way to kind of express it in a way that the business understands. (22:25) And I like this concept of creating a customer journey map as it’s about the outward view in, and it gets everyone’s mindset thinking about what it’s like for your customer to buy from you and create an experience. But really that flip, because the first reaction from anyone is, gee if you change a process or change something, my job gets harder or my job gets different. (22:53) That’s a challenge right, of course. But if you switch the mindset to, what’s it like for the poor person buying from us, right. Well we don’t want to make their life harder, and by the way, we’ve all been buyers. That’s why CRM is a great business to be in. We all buy things as individuals, so we’re all use to the concept. (23:12) Think about your own experience. Would you want to go through what a company, you know you as a company have put someone through right, do you think about that. And you get people thinking in that mindset and it becomes very important. It becomes a key way of getting people and that customer experience mindset. (23:28) Okay, so you’re mentioning journey mapping. How, you know again I keep coming back to this notion of how do you get people inside a company to flip that mindset as you’ve described to be empathetic towards the customer. Because at the end of the day, that’s what’s going to change the relationship with the customer and then technology can support that, but it has to be the people working in the business and how they’re interacting with the customer. (24:02) Yes, it has to be the people working in the business. And this customer journey map that exercises one of the ways you can go through that, because it forces everyone to flip that mindset. But you’ve got to get people thinking about what it’s like for someone outside coming in. What is their role, how do they work with someone, what does it do to people, and the other things you can do their for example you can start measuring the customer experience. (24:29) So you net promote a score, NPS people who are familiar with that and it’s a great way to do that. You ask a person how likely they would be to recommend the company to someone else, and it’s a very strict measure, you have to have a very high rating on NPS. You have to have a very high likelihood that someone will recommend you to have a high rating there, but you can start measuring it. I love the idea of measuring and every step there. We do it all the time, and I encourage customers to do it. So measure the customer experience that’s one way you can do it. (25:04)Tie people’s performance to that, tie reward to that.We often see this in call centers by the way, this is a great example. So sometimes in the call centre world people will apply the metric of time to resolution. It’s all about getting the person off the phone the fastest, but in fact, if you change the result and the measurement to customer satisfaction, you can get a much better outcome and it isn’t about how quickly you can get someone off the phone, it’s about how happy they are at the end of the experience. That can make a huge difference, so putting the right metrics in place. (25:47) You know, the same thing applies across the sales team and those sales metrics. So you may look and say, gee is it about activity, or is it about the success of the customer as they purchase an onboard and getting more success orientated and less activity orientated in your metrics make a big difference there. So that’s some of the things you can do. (26:15) So elaborate on that a little bit when you say success, so you’re talking about really considering what are the things that we’re measuring so that we get the outcomes that we want as opposed to just we’re busy doing all kinds of stuff. (26:32)Yeah, so some of the things you want to measure. So I mentioned net promoter score, so how likely is a customer to recommend you. That’s a very very good one, so you can ask that at multiple points in time of the cycle and throughout the process. (26:48) Next, customer references, have they recommended you, how many people are they bringing you into, okay. That’s an important thing to track and measure, so we look at things like that as well, right. (27:07) They are all of these elements that you want to find that are not just did they buy more or when did they purchase. Support queries, and satisfaction there are really key. Those are some places you measure. So there’s a whole set of these things that I just encourage people to look at and understand and survey, and ask your customers. You know, what are they thinking, what was their response to each step of the experience. (27:45) So ask those questions frequently, ask them at each step. Ask for their recommendations there as well. And by the way all of those things help with engagement. You want to keep you in the front of your customer’s mind as happier, so if you’re asking the right questions there, you’re helping them keep engaged and it’s going to lead to a stronger relationship for them as well. (28:11) So customer engagement is a hot buzz word these days. What does that actually mean and how is that related or different from CRM, Customer Relationship Management. (28:26) Good good question. So customer engagement, so I think of customer engagement as the degree to which have mind share with the customer in any degree in which they are interacting and operating with you. So are they engaged with you, are they talking to you, are they explaining their business problems to you, right. Are they interacting with you, so you know, Twitter is an example of that. Are they a supporter of you on Twitter, and are they interacting with you on Twitter. (29:00) Likewise on other forums, so to what degree are they working with you and I think of engagement as a measure of satisfaction, right. So if they’re asking you questions, if they are helping other people understand your business, they’re engaged. If they’re silent, if they’re quite, they’re not responding to surveys well they’re not thinking about you and they don’t care enough right, and those are not engaged customers and you have to understand why they’re not engaged. (29:34) So are they dissatisfied or are you not serving their need. Have you not made your solution an important part of what they need to do for their lives, so you have to figure that out. That is a piece of overall customer satisfaction and the customer experience that would be CRM as the bigger component. But engagement and enabling engagement is a key part of that customer satisfaction and the level of engagement I think is a key measure of customer satisfaction. (30:05) Okay, so we have customers now who are actively engaged, but what we haven’t yet spoken about is this idea of the empowered consumer, so write that in now. (30:23) Yeah, so the way people buy has changed, okay. Consumers, it used to be that when we bought, the way we got information about products came from relatively controlled channels. If you think about it, what did you do? You picked up a magazine that may be had a set of reviews, right. And you could look through that and we all know that you know, to some degree that information you’re getting it may be independent, but those people are also buying advertising dollars there right. (31:04) And also the other way you got information was ads. You know, watching on TV, radio, magazine, whatever it was and the company is controlling that channel. So whether it’s a review, product review, lists of products those channels were all relatively constrained. (31:28) The way people get information about products and companies today is wide open. The buying process has changed. Companies can no longer control those channels of information, so the consumer today, who do they go to? Well odds are, whatever you want to buy there’s at least one and probably multiple people on the Internet who have created entire websites to buying exactly that one thing that you want to buy. (31:54) And I’m going to give you some deep deep analysis from the users, right. And the Internet has enabled us to find that as consumers today. In the past we didn’t have that resource. Finding that person was hard, maybe you got lucky and you knew a friend or a colleague who you know, very much cared about the product there that you were looking at and was able to give you recommendation.But that was luck, because your ability to reach and finding that person was limited. (32:24) Today, with the Internet you can find those people everywhere. You can find that and just think of anything you bought recently, what do you do? You go online, you do a search, you find a forum, you find the reviews, and you look for the reviews in places that you know are neutral, where you find people like you who are talking about product. Right and you get the real experience from them. (32:48) That process has changed, and companies have to learn that they don’t have that control today, and the consumer, the buyer has much much more power because of it. And companies have to learn to be authentic and part of that process, and participate in it and recognize that they can’t control it today. And the customer experience becomes even more important, because your advisers are the people selling your product today and telling, and so are your customers. (33:27) So what does this mean then for something like CRM because in the old days, you know the salesperson called up the customer and they log that in the CRM system and they move on and it’s done. Now if I as a seller want to have a relationship with a customer with a potential buyer, it means that I’ve got to be spreading my efforts much more broadly to understand a more all-encompassing view of that buyer. (34:00) Yes, but it also means that as a seller you have access to more information about that buyer and you can also potentially come into the sales cycle with a more educated buyer. And it means the way that you reach the buyer as a company you need to think about that life cycle earlier in the process. (34:30) So typically today when a buyer shows up, they’ve done a lot of research. They understand the product and the business space of a lot more. That means you as a company have to spend a lot more time in the education phase in providing information to consumers early on in the process before they start talking to a seller. (34:58) And then as a seller, you want the seller to understand what information the buyer has already had access to. So if you think about in the context of CRM, what white papers has this person read, what webinars have they attended. So what have they done to educate themselves? That’s going to tell the seller a lot about what the buyer cares about and knows, and a good seller will build on that as opposed to repeat it. (35:29) So again you’re creating the right experience for the buyer, by giving a smarter seller, or giving a seller more intelligence so they can get right to the point that the buyer cares about, because the buyer doesn’t want to listen to a lot of stuff they already know, or a lot of things that are relevant. By giving that intelligence they can get right to the point. 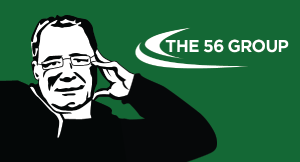 (35:50) That actually helps the seller a lot in the sense that the sales cycle can be shorter. They are making their time highly effective, as opposed to wasting it discovering things that they already should know because of the way the buyer is engaged with the business before. (36:10) And it’s that digital and human connection that becomes critical for CRM. You know Michael a lot of people talk about the digital component of that today, because most businesses need to get there. They need to get to where the information is available digitally and enable the buyer to come in. (36:29) But what they forget is that has to connect to the human, because all the surveys show that the most effective part of the cycle is still people still want to talk to people, and it isn’t that we want no human interaction. It’s that we want the human interaction that’s relevant, and we don’t want the irrelevant part of the human interaction in the buying process right. And connecting the digital to the human becomes critical in the CRM system. And I would say that something that’s changed is this buying experience and buying process has changed. (37:10) Okay, so we only have about 10 minute left and this is a very interesting topic, so maybe elaborate more on how we can connect the digital to the human in order to deepen these customer relationships. (37:26) Yes, so typically on the digital side, the buyer will come in and say on a website, and they’re going to leave fingerprints behind on that website. They’re going to visit various pages. They’re going to download as I said white papers and they would have looked at places in the forum. They may have watched a webinar, learned about the product in that process, so there is a set of activities that they have done their. (37:54) Now, at some point they’re going to transition to being ready to buy something and you want to detect that point and understand it. They may raise a flag which is the, I want to talk to a person now button on your website. They may be a virtual flag or a intelligent flag that is raised by the system, by looking at the combination of all of those interactions on the website and saying, hey this person is now at the point where they are going to buy. It’s the right time to reach out to them. (38:30) In either case, that needs to flow into a system that enables that interaction, that enables now a human to either reach out, okay and you present to that person and this is what a good CRM system will do for that person and say, okay. It will give them a picture of the person that is interactive on the website. It will tell them where and how they interacted, and it will offer the employee inside your company a set of options for how they interact. Do I try and called this person? If I call this person, what do I say? Do I send them an email? I send them an email what are the options of what I should say based on what they’re interested in. (39:14) And by the way, it usually takes more than one email or phone call to connect with the person, so when do I send the first email? When do I make the first call? Help manage that process. (39:28) So create a sequence of human connection that is highly relevant to the specific individual that may involve by phone, email, even Twitter, Facebook, LinkedIn, what’s the right way to connect and interact with them. (39:46) So the system will provide that information, will help the user track it, will help the user understand it, and help the salesperson then stay in sequence with that. So you’re helping that salesperson plan that interaction. (40:05) And then when you actually you know, make those connections you will at that point have a lot of information about the user, what they care about. And the system should help you understand, this is the product that they care about, this is the information that they need, and you make that interaction highly effective and valuable as opposed to talking about something that’s irrelevant to that particular buyer. (40:59)By the way that’s the great thing about these Michael, this is a topic where we can go on for literally an hour or two. It’s fascinating now. But given the time left what do we do. (41:11) Okay so let me just ask you a bunch of different things and maybe just give short answers so at least we’ll get a sense of some of these things how’s that? (41:23) Okay, so mobile. Mobile is very important to salespeople. What’s the story with mobile, so what’s the story? (41:29) Key experience, it has to lead today. People are out on the road all the time. The other thing to think about there is simple, short applications that help you with a specific task because the use cases are different. (41:44) When you’re travelling it’s different than when you’re at the desktop. So think about different use cases but it has to lead and most people will be on mobile first before the desktop. (41:45) So if you’re developing software that’s what you need to be thinking about and if you’re a mobile salesperson what is it that you need? (42:03) If you’re a mobile salesperson what you need is small simple apps that help you as you go into specific tasks. I’m about to walk into a meeting, great, tell me what I need to know as I walk into that meeting. Right, I don’t care about anything else. I don’t care about pipelining, forecast, or all the other things that I could potentially do. But what I care about is who is in this meeting and what do I need to say to them. (42:22) As I’m leaving the meeting, okay, what do I need to follow up and how do I follow up that? What are the activities or tasks that I need to take out of that? That’s what salespeople do, you go into a meeting, prepare for it, you set a set of actions as you come out of that meeting. (42:38) Those are simple use cases that you need to do on the run, and you don’t want those use cases clutter by forecasts and pipeline, and opportunity management and all the other CRM stuff around it. So think how you give those simple use cases. (42:55) Quick plug, we acquired a company called Stitch by the way in this space and it does exactly that kind of stuff specifically for this purpose, because we see that as an important use case. (43:06) Okay, tell me how to sell more? How can those of us listening sell more? What’s your advice? (43:15) Know your buyer. Okay, who do people buy from? They buy from people they trust. They buy from their friends. What is the most difficult objection to overcome when asked, why did you buy from him and not me? It’s because the other person was my friend. (43:32) Get to know them. Understand what they care about not their business, but them personally, right. How is this purchase going to help them with their job, with their career, how is it going to help them? So really know them well, okay, connect with them. Don’t just sell to them, listen a lot. (44:11) Okay, so if you’re doing all the talking then you’re not selling. (44:16) Yes that’s right. Counterintuitive sometimes right, we want to start talking to sell, but infact listening is the key piece most people lose. (44:31) Listen to sell. Listen more, sell more. (44:34)There you go. I like that. Good soundbite. (44:38) Okay, and finally, give us a short sales pitch about SugarCRM. (44:47) Short sales pitch about SugarCRM. So sugarCRM, we’re going to provide you with the best Customer Relationship Management system for helping empower your sales team. We are the only company that is largely focused on the CRM space, so the large pure play. This is all we care about. All we care about is CRM and creating a great customer experience. (45:15)We’re going to deliver a huge amount of innovation to help the seller sell their and a fantastic user experience for them. And we’re going to enable you as a business to create this great experience for your customers, by enabling all of your employees to understand what’s happening with that customer, to orchestrate a process across divisions, across employees. So your customer gets one seamless consistent experience that they love and ultimately increases there value to you as a customer. (45:47) Fantastic and how about one very quick last, real last question. (45:55) Because given your background, you were truly a pioneer in open source software, and we didn’t talk about that at all so maybe just one minute on open source software. (46:06) One minute on open source software. If you look at the technology landscape today it’s interesting, OpenSource has transitioned from something that we all talked about and leading. It used to have OpenSourceconferences, to something that people talked about very little. But in fact, is the reason so many startups exist and empowers so much of what people do today. (46:29) At SugarCRM we would not have been able to create such a powerful system without or relying on OpenSource technology underneath. If you look at the entire cloud, Amazon AWS exists because of OpenSource. Google Android exists because of OpenSource. Apple iOS, huge amount of OpenSource components at its core. (46:51) Next time you go to a smart TV, go into the menu on the TV and go down and there is probably a menu that says license or about or something like that. You pull that up, you’re going to see OpenSource licenses listed there, because the software that powers that TV, or your car, or your cellphone or many of those devices that powers the Internet of Things it’s all OpenSource underneath. We wouldn’t have any of those technologies without OpenSource having driven them. So it’s a huge part of our technology life today, but we don’t see it because it’s under the covers. (47:34) And with that I want to thank Larry Augustin, who is the CEO of SugarCRM for being our guest on episode number 124 of CXOTalk. Larry, thank you so much for joining us today. (47:50) Thank you Michael it’s been fun. (47:52) And everybody, we’re going to do another show tomorrow and then we have another show on Friday, so come back. And to my co-host Vala Afshar, wherever you are I hope life is good. Thanks everybody have a great day. Bye bye. 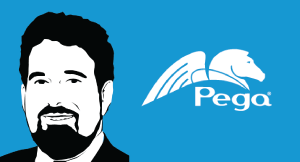 Entrepreneur Alan Trefler bootstrapped Pegasystems without external funding. This episode discusses building a public company and explores how enterprise software must evolve to meet the needs of empowered consumers and business users. 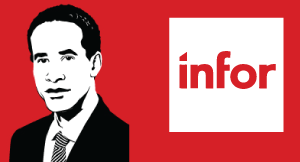 Charles Phillips is CEO of Infor. Previously, was President of Oracle Corporation and a member of its Board of Directors. 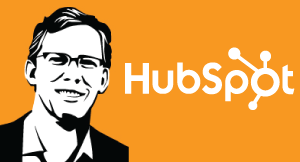 Brian Halligan is the CEO and Co-Founder of HubSpot, a Senior Lecturer at MIT, and author of two books.Inbound Marketing: Get Found Using Google, Social Media, and Blogs, and Marketing Lessons from the Grateful Dead. In 2011. Wendy Lea is the CEO of Get Satisfaction. Wendy currently serves as an angel investor, strategic advisor for a variety of startups. She has been recognized as a Top 100 Woman of Influence in Silicon Valley . 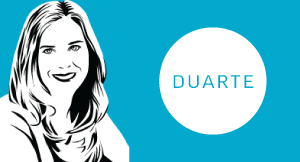 Nancy Duarte is a communication expert who has been featured in Fortune, Forbes, Fast Company, Wired, Wall Street Journal, New York Times, LA Times and on CNN. Vivek Ranadivé is Chairman, Founder & CEO of Tibco He is an entrepreneur, tech visionary, author, philanthropist, and sports team owner recognized for his outside-the-box thinking. Brian Vellmure is a an analyst and thought leader in areas related to customer experience. Mitch Lieberman is Success Architect at SugarCRM. Paul Greenberg is one of the most recognized and respected CRM analysts in the world. He is also author of the best-selling "CRM at the Speed of Light: Social CRM Strategies, Tools, and Techniques for Engaging Your Customers."